Erected by Historical Society of Michigan. Marker series. 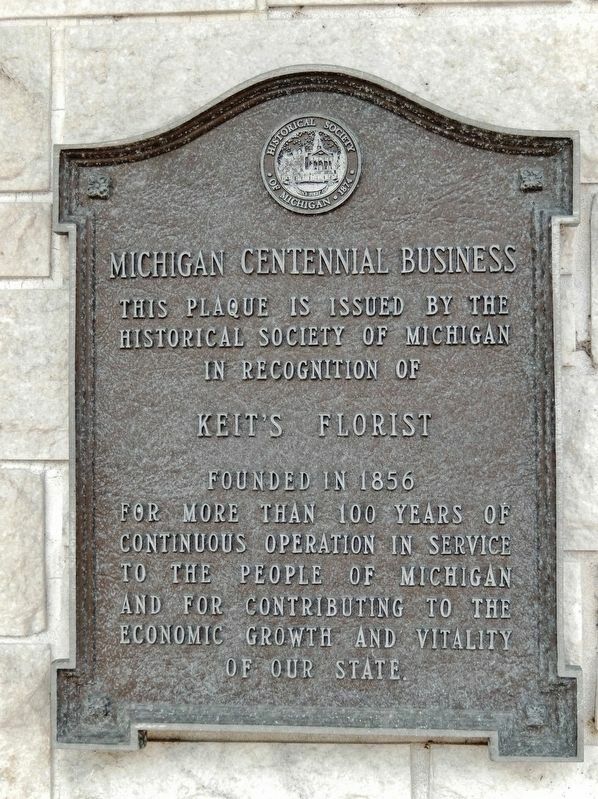 This marker is included in the Michigan Centennial Businesses marker series. Location. 43° 35.786′ N, 83° 53.296′ W. Marker is in Bay City, Michigan, in Bay County. Marker is on Washington Avenue north of 7th Street (State Highway 25), on the left when traveling north. Touch for map. Marker is mounted at eye-level, directly on the northeast corner of the subject building, facing Washington Avenue. Marker is at or near this postal address: 609 Washington Avenue, Bay City MI 48708, United States of America. Touch for directions. (approx. ¼ mile away); Cross Country Connections (approx. ¼ mile away); George H. & Elva Shearer House (approx. 0.3 miles away); First Presbyterian Church (approx. 0.3 miles away); Charles B. & Georgiana (McGraw) Curtiss House (approx. 0.4 miles away); Trinity Church/Trinity Episcopal Church (approx. 0.4 miles away). Touch for a list and map of all markers in Bay City. More. 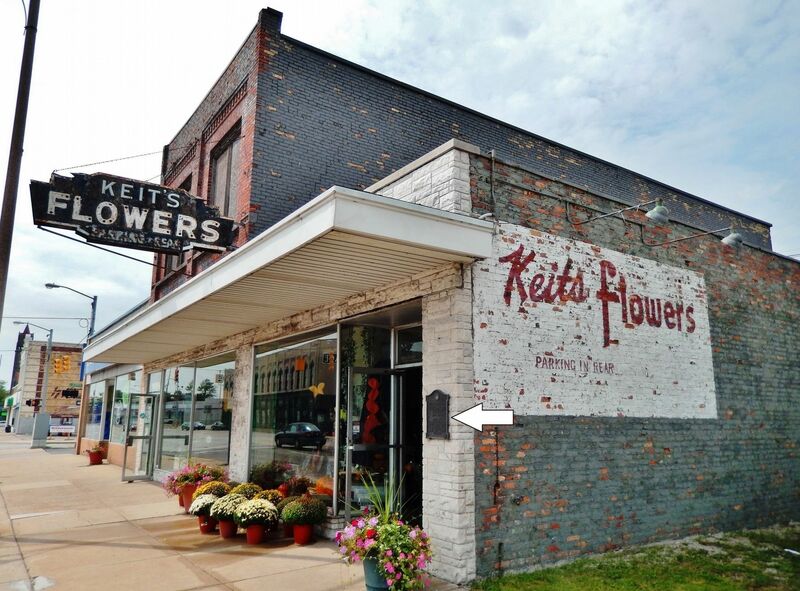 Search the internet for Keit's Florist. Credits. This page was last revised on April 6, 2019. This page originally submitted on April 6, 2019, by Cosmos Mariner of Cape Canaveral, Florida. This page has been viewed 65 times since then. Photos: 1, 2. submitted on April 6, 2019, by Cosmos Mariner of Cape Canaveral, Florida.